Archie and his friends suit up to save Riverdale. 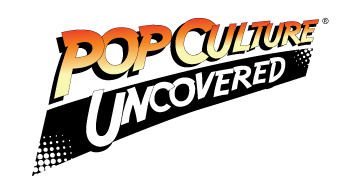 Recently I have started to branch out and read comics from other publishers and after my enjoyment of the show Riverdale, I decided to read Archie Comics and I am happy that I did. Through my reading of Archie, I discovered that there are superheroes in this world and Archie and his friends are in fact superheroes….. 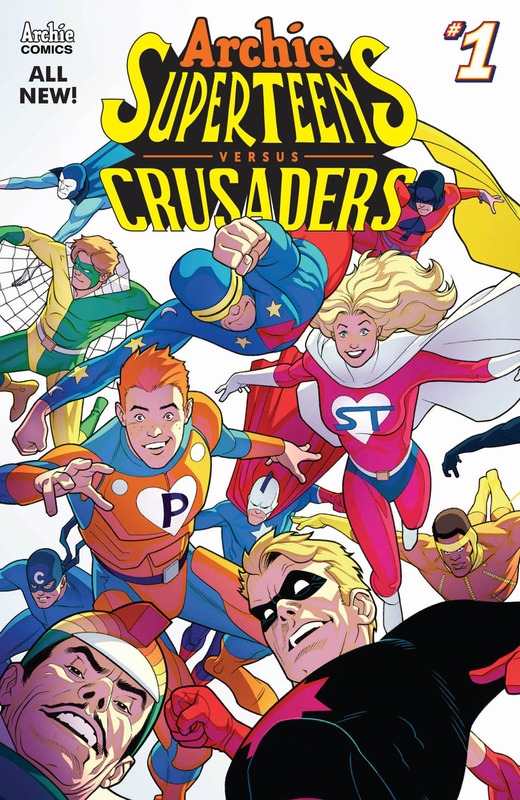 The story in Archie’s Superteens VS Crusaders is very simple but so much fun. Archie, Betty, Veronica and Jughead enter their science class to find out that there is a substitute teacher and he isn’t normal. It turns out he is a supervillain with a giant robot. Archie and his friends realize that the only way to save Riverdale is to suit up and team up with the Crusaders to take down the evil Dr. Zardox. As I stated above, it’s a very simple story but it is so much fun. This writing team of Ian Flynn, David Williams and Gary Martin is fantastic. They take everything we know and love about Archie and they double it. The humor is top notch and makes you laugh out loud, especially the joke about Jughead’s “one true love”. Every character is written perfectly and they embody so many aspects of what have made these characters so endearing over the years. Yes Archie has had over the top crossovers before and this is another one that is just perfect in every way. Two of the member of the writing team are also members of the art team with Kelsey Shannon. Archie and his friends look fantastic and while they also look modern, they still have the classic Archie look. Dr. Zardox’s giant robot looks menacing and campy at the same time. This book is all about camp and fun and this team embraces it fully. You can tell that these artists are definitely fans of all things Archie and it shows in every panel. There aren’t many set pieces here but the ones that do happen look great. 5 Hungry Jughead’s out of 5.